I live in Pennsylvania; Every year I live in fear that my father/accountant will no longer be around to help with my local taxes. When I go to look at the W2, there isn't a box on it anywhere; no matter which employer I am with at the time that reads "Gross Compensation", despite the use of simple reference numbers that I have to assume are standard parts of any "standard W2". I have no trouble working through the rest of the process the rest of it is clear to me for my simple employment status in doing my taxes; but that first box is just elusive as hell. What do I need to learn about to understand this? I don't want to be taken away in a paddy wagon when my father is no longer able to explain this to me every year! If everyone is not an accountant, and yet everyone is expected to do their taxes, why can't they make this easy enough that any person could do it? Or do local municipalities just not care if you're sent to jail over local taxes? Honestly, it's not the paying of taxes that annoys me, it's how bad the forms are! I think taxes are necessary for the continuation of a civilized civilization. P.S.S. Most of the time it doesn't even matter if I finish the form, I usually don't owe anything. Assuming your employer correctly knows the local municipality that they should be withholding for you, boxes 18-20 generally are the only ones that you need to worry about when filling local taxes. Box 18 are the gross wages as far as the local municipality is concerned and box 19 are the taxes that have been withheld (box 20 is just the name). As to why those local forms can be a pain to figure out, probably not enough people complaining to the local government. By the time people do their local taxes, they are often are just happy to be done with the process and in many jurisdictions where there are local taxes the correct money is already withheld so it is even less of a concern to them (and some places don't require filing in that case). Also anyone who pays an accountant/tax preparer for federal would also have then do state and applicable local. The end result is that without significant pressure to use a split that makes more understandable forms that concern get lost amongst every thing else that goes into awarding a contract. Lee, Eric's is the answer you should accept. I'm adding what's too long for comment box. I looked at your profile and understand the issue. I have a BSEE (electrical engineer) and see that you a software engineer. It's tough to look at forms any place when you are looking through that lense. i.e. 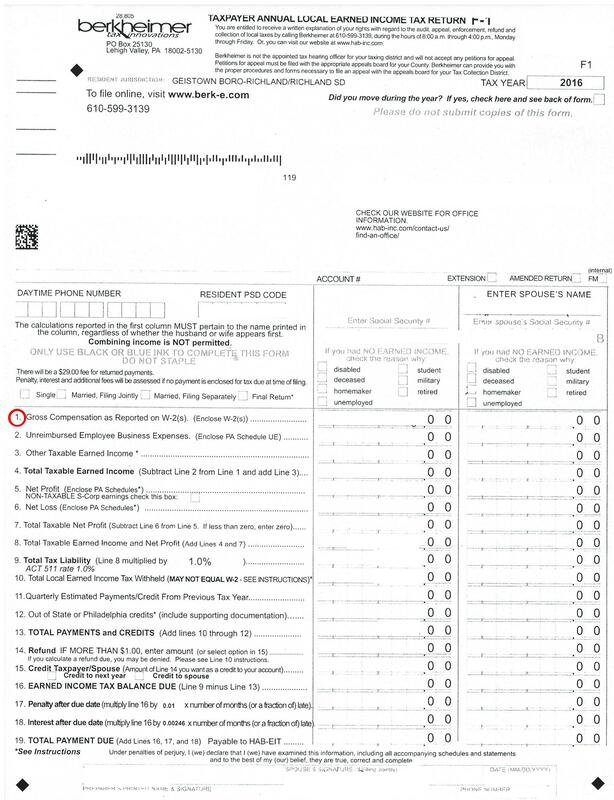 you are expecting the forms, the W2 and the state tax form to match up with their terminology. There's really no excuse for it not matching as you'd want. 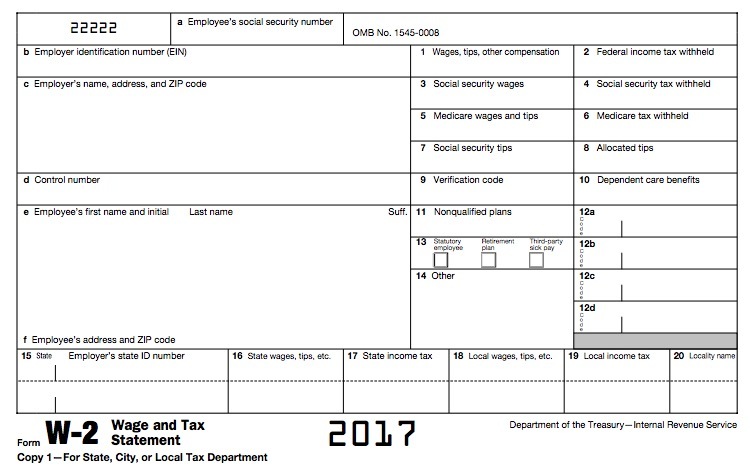 I'd suggest you get a copy of the 2016 tax software. It will let you import your data and populate the right fields. After the first year or two, you might get comfortable to do this on your own. If you have a brokerage account, it can also import that. This generally can save you time and the risk of a typo on your own entries. Not the answer you're looking for? 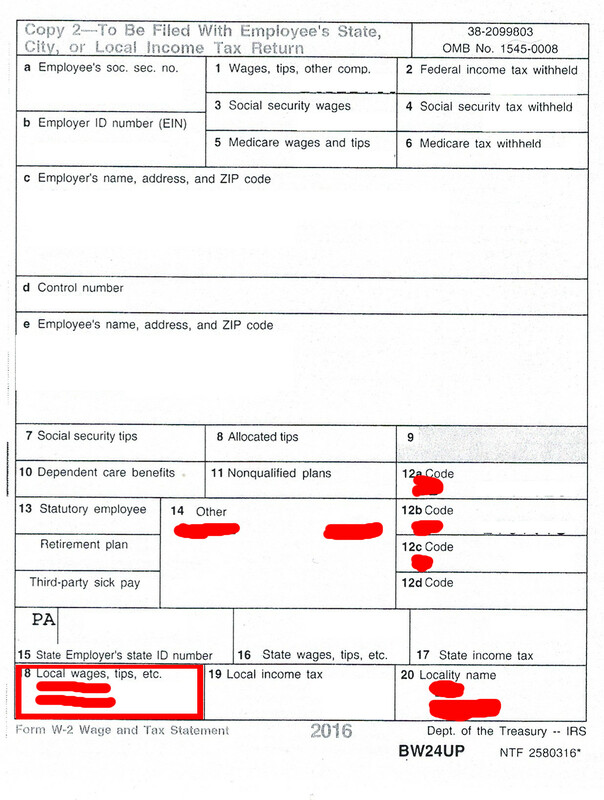 Browse other questions tagged united-states income-tax pennsylvania or ask your own question. Why isn't money spent on necessities deductible from your taxes? What is “Local Earned Income Township Tax” and do I have to pay it? Have I correctly calculated my takehome pay?